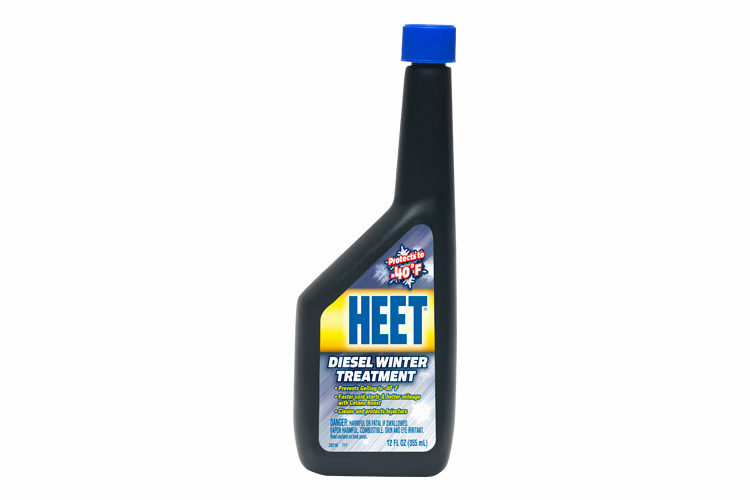 Diesel Power Air Brake Antifreeze provides complete winter brake protection. 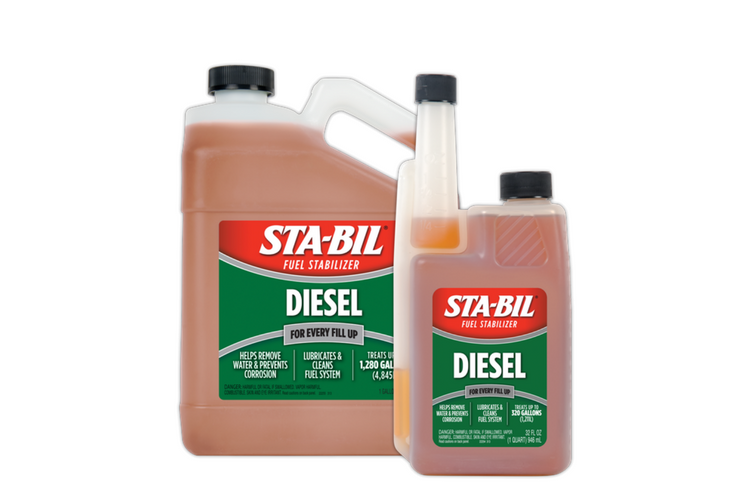 This air brake antifreeze dissolves ice on contact, prevents rust and corrosion and dries air lines. It comes with an easy pour spout. Fill evaporator jar about two-thirds full with antifreeze. Bubbles should pass through the antifreeze while the compressor is operating. Check that all connections are tight, and that the filter cap and cover are in good condition. 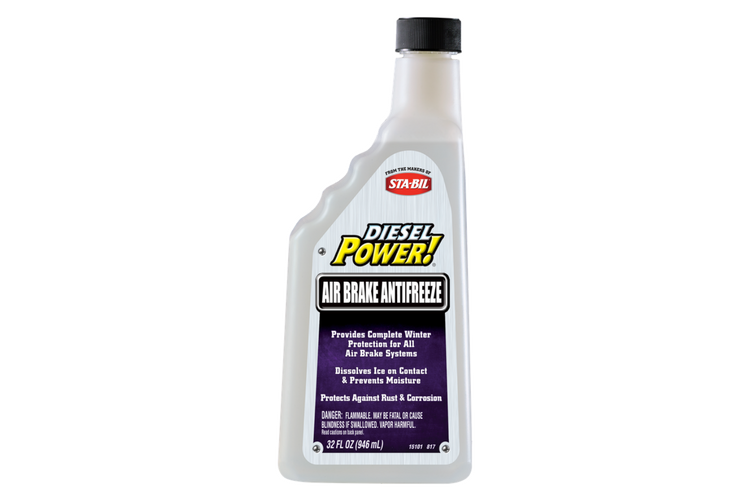 DieselPower!® Air Brake Antifreeze is rated 4.8 out of 5 by 16. Rated 5 out of 5 by i95m3 from Air brakes don't break Put it in my Peterbilt for the winter driving period and so far have been pleased with the results. Brakes seem to work more efficiently and I don't hear the growling noise I had heard before. Rated 4 out of 5 by fatbob from It Works I gave this to a friend who has a truck and we just went through one of the coldest 4 days we have had in a while, it was 37 below temp one day. He said he had no probems with the air brakes so i would say this product did its job! Rated 5 out of 5 by richard from Diesel vs cold I live in the cold northeast, we've already had a few days around zero. I used the Diesel Power Max and had no problems with freeze over or gelling. Works great! 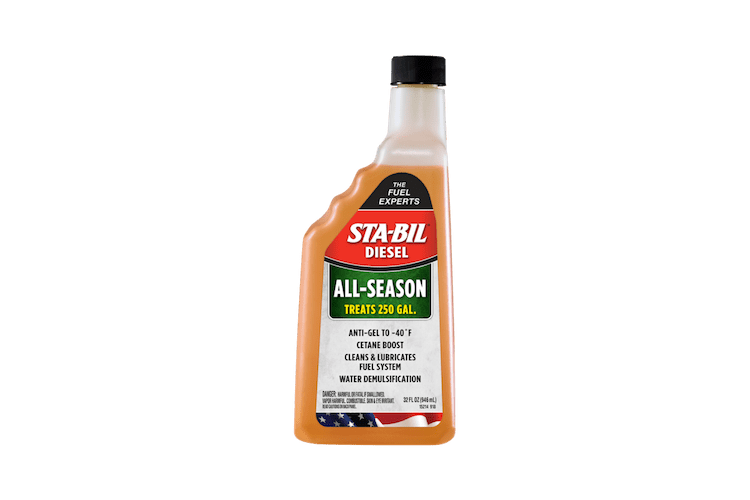 Rated 5 out of 5 by Hurst1975 from Brake line antifreeze I gave this to a friend who is a truck driver and he has used it on trailer brake systems in Minnesota. Works real well at thawing out brake lines. Rated 5 out of 5 by Josh from Not just for air brakes... I use this in my AirLift air suspension system in my 2500HD to keep the lines and compressor from freezing up in the winter. Works great! Rated 5 out of 5 by Zach from Amazing how simple and we'll it works I got this about a month ago when my old truck started scaring me. I ago plied this stuff and the issue was gone.